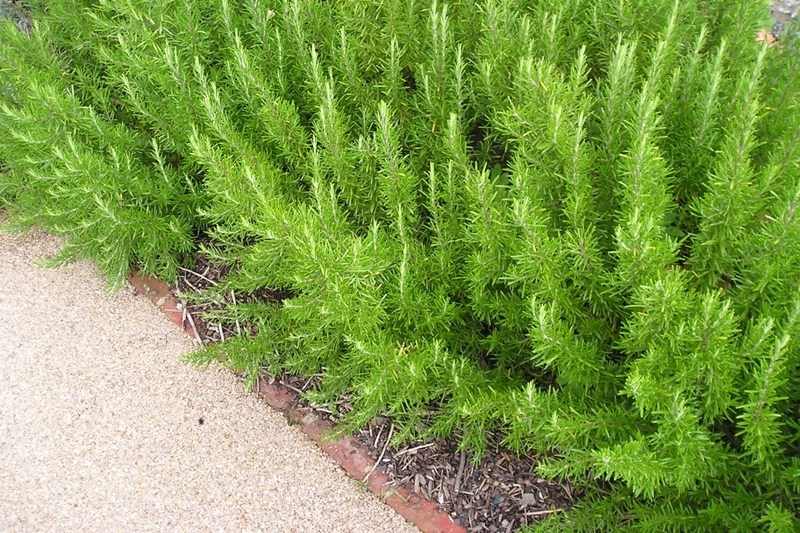 Rosemary (Rosmarinus officinalis): growing, planting, caring. A sweet smelling Mediterranean shrub, this is an easy plant as long as you provide the right care! If you like to grill out, this is a must for you. This evergreen shrub prefers rich or poor soil, even if it's chalky, so long as it's well-drained. It should be able to tolerate temperatures down to 14°F. Plant it in direct sunlight! 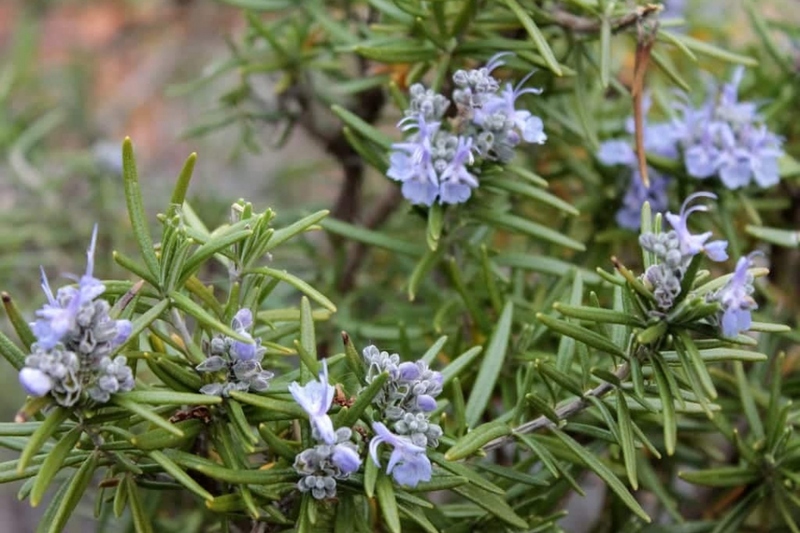 Depending on the cultivar, you'll find different habits of rosemary, blooming from white to blue, and even in pink. You'll know it by it's smell — definitely an aroma of rosemary! If you don't recognize that, it's a highly aromatic shrub growing from 50 cm to more than a meter in height. It grows straight, and has leathery, sessile, linear leaves that curl up at their edges. The leaves are green above, and white below, with short, dense, woolly hairs. You can grow your rosemary in a pot or outdoors! If outdoors, plant in very well-drained, even stony, soil in full sun. Make a planting hole 20-30 cm larger than the root ball, and add 20 cm of gravel to the bottom of the hole if soil is heavy. Empty two watering cans in the planting basin that you've built based on size required. If indoors, plant in a large pot with drainage holes and at least 5 liters of space, placed on a planter saucer. Plant in a mixture of potting soil and very ripe compost with gravel or clay pebbles. Water after transplanting. In winter, cut asymetric stems. You can cut your rosemary back gently by pruning the longest branches. If planted as a hedge, prune after flowering to give it a more even appearance. 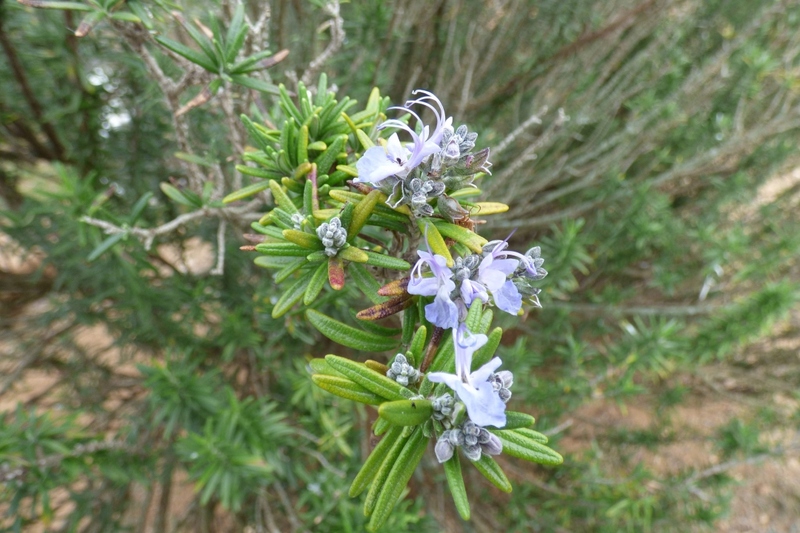 Rosemary is native to the Mediterranea: it prefers well-drained soils and fears excess moisture, which can be fatal. If yours is in open soil, no need to water it. In pots, water once a week. Mulch in a thin layer to avoid competition, since rosemary doesn't do well in overly cool soil. You may also use a mineral mulch — gravel will do the trick — that you won't have to renew. To multiply rosemary, it's easiest to take semi-woody cuttings in summer. Remove 10-15 cm long stems, getting rid of 2/3 of the leaves, only keepng those at the extremities. Remove the flowers and floral buds. Plant the stems in a pot, in a mixture of sand and potting soil/compost that's been kept moist and in the dark for about two months. You can plant them in open soil in autumn. After a few years in the same pot, your rosemary will appreciate some new earth, seeing that you'll be giving it a larger container too. Remove it from the pot by pulling the base of the trunk. If it seems stuck, check if the roots have grown through the drainage holes at the bottom of the pot. Give it a mixture of potting soil and sand.